Writing is an art. Even if you are a professional writer or author, who writes 5000 words on an average per day, writing is still an art and not just a job. And like any art, the mood, the ambience, and the mindset help people in giving their best when it comes to writing. Also, no matter whether you are writing for your personal blog or penning your novel, you will definitely get bored staring at your bedroom wall for ideas. 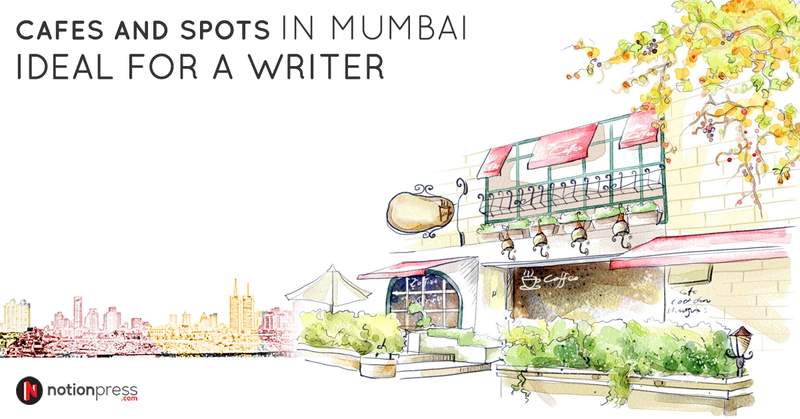 Therefore, step out from the comfort of your home and hit these nine amazing places in Mumbai that will inspire you to write more. 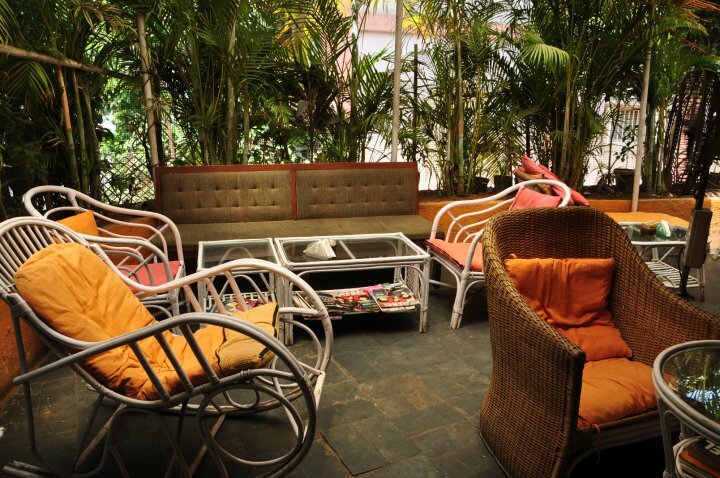 Situated on Carter Road, this café is known for serving healthy juices and delicious snacks. Apart from the mouth-watering food that they serve, they have an amazing outdoor seating area, which allows you to lose yourself in the beauty of nature. The pleasant, white furniture and the calm environment is enough to make you feel peaceful. Frequently visited by freelancers and people who prefer to work from cafés, this place is perfect no matter whether you are going read or write. 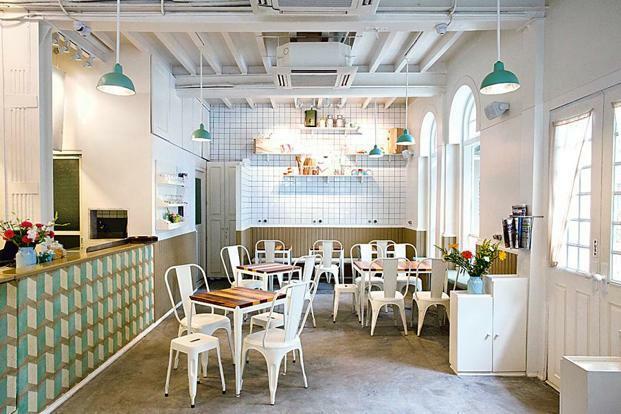 Grab your notebook or laptop and visit this café. Let the ideas flow along with fresh coffee. 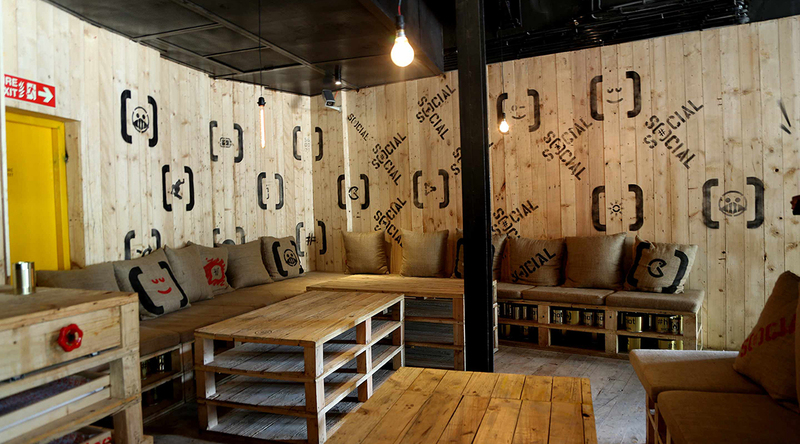 Located in multiple locations across Mumbai, Delhi, and Bangalore, Social Offline is a bar, café, and a workspace. Whoa! Isn’t that a fantastic combination? From Wi-Fi to paper and pen, from printers to scanners, this place has everything. All you need is a laptop and a mind full of ideas. You can chill in the café, use the social office to work, write, or read. While the mornings at this place are serene and peaceful making it perfect for you to write or read, the place gets into party mode in the evenings. With jam sessions, stand-up comedy, and parties, this place should be your destination to both chill out as well as write your heart out. Furthermore, this place has a huge networking vibe. 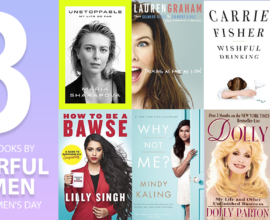 You can spot many celebrity writers, page 3 peopleand entrepreneurs here. Address:24, Ground Floor, Glen Rose Building, Behind Taj Mahal Palace, Apollo Bunder, Colaba, Mumbai and various other locations. 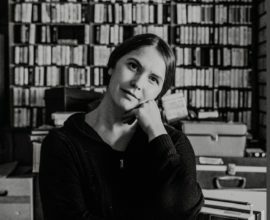 Bagels and writing – ah the two loves for most writers! Another beautiful café located in Bandra, The Bagel Shop apart from providing yummy bagel sandwiches and other snacks, has comfortable sofas, and a great ambience. This will ensure that you can read or write in peace. This café provides free Wi-Fi and is pet-friendly. What more do you need? Grab a laptop or a journal, take your pet along, and lose yourself in the beauty of this place as you pen your bestseller. If hunger pangs strike in middle of your writing, we recommend you try their smoked salmon bagels. 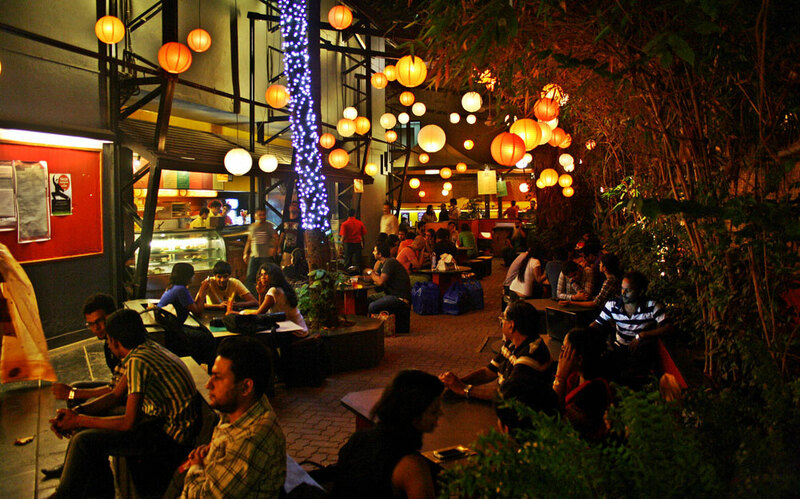 The quaint coffee shop at Prithvi Theatre serves delicious local and continental snacks. While this café is not as fancy as the other ones we mentioned, it is very comfortable to chill with your friends, host book club meets, sit and read a book, or to sip a coffee and pen your thoughts. It has an open-air café that is hugged by gorgeous trees and plants. 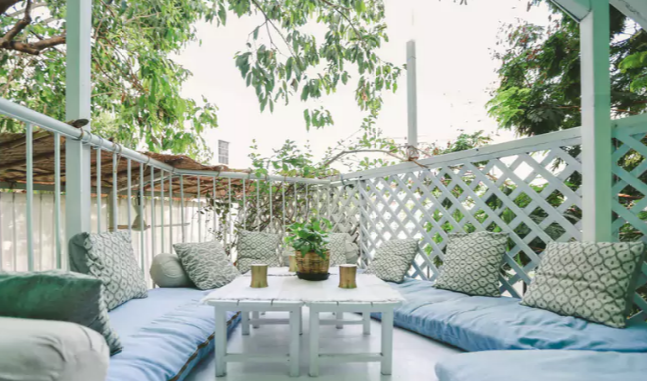 In the busy city of Mumbai, this café is a little oasis of tranquillity. Buy some tea, grab your notebook, and get started. You will be astonished by the way ideas flow thanks to the serenity here. Go back to the 90s. We’re not kidding! 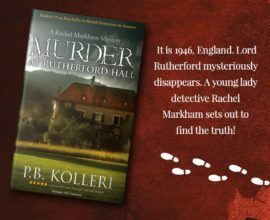 Just find a sweet spot on the large Asiatic Library Steps and start reading or writing. There is no other serene place like this in Mumbai. What’s more, with the colonial library in proximity, you can even grab a book or two from there and read. 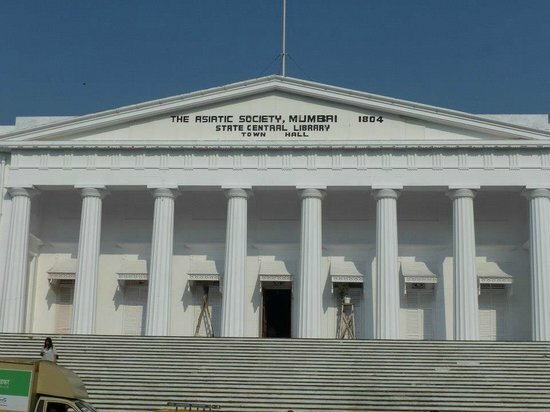 The Asiatic Society of Mumbai Library will leave you spellbound with its intriguing architecture. With more than 200,000 books, this library is every writer’s treasure house. What’s more this library also houses 20,000 rare books in varied languages. No matter whether you are looking to brainstorm with your friends, read a novel, or write a few chapters, this place is just perfect. Speaking of libraries, read about the 11 Iconic Libraries in India. This organic café is not something that we recommend for book lovers and writers alone but also for health and fitness freaks. 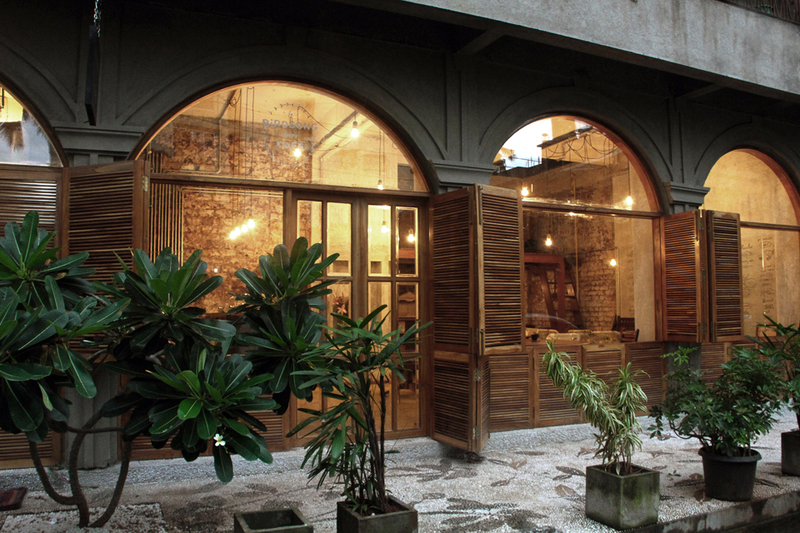 This beautiful café is tucked cosily in Old Mumbai. Just a visit to this café is a pleasant experience. Find a comfortable spot, order some organic pizza and coffee. Relax, eat, and start writing. With wooden windows and lush plants around, this place looks all the more beautiful in the evenings. The café is open until 11 PM, so you can relax here in the evenings and read that novel you wanted to or finish a couple of chapters. 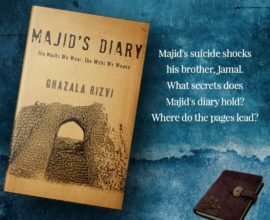 Is your Mumbai Book Club looking to host a literary meet? Are you meeting fellow bibliophiles over coffee? Do you want a peaceful spot to sit and read? Are you looking for ways to get rid of writer’s block? One solution for all this is The Pantry. Situated in Fort, this place has free Wi-Fi and some fantastic coffee. What more does a writer need? Sit back in the beautiful, white chairs and start writing. The café opens at 8:30 in the morning so you can have a filling breakfast as you indulge in a daily dose of morning writing. The ambience to this place can give some serious writing inspiration. And, who knows, you might be even feature this café in your next book! Want to catch up with your old buddies? Go to Marine Drive! Want to take the girlfriend on a date? Go to Marine Drive! Want to have some time to yourself? Go to Marine Drive. We are sure every Mumbaikar will agree with this. 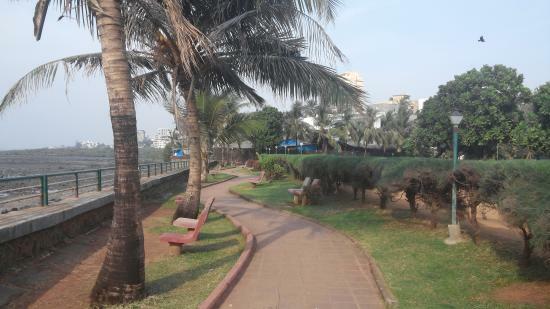 Marine Drive, despite its popularity, continues to be one of the quietest places in the city. Find a cosy spot to sit and read your favourite book. Also, if you happen to go around sunrise, you can enjoy a blissful morning and write. Watching sunsets at Marine Drive gives anyone a lot of ideas and thoughts. In short, just being here refreshes you to a great extent. We hope these places inspire you to take your notebook, book, Kindle, or laptop and head out. 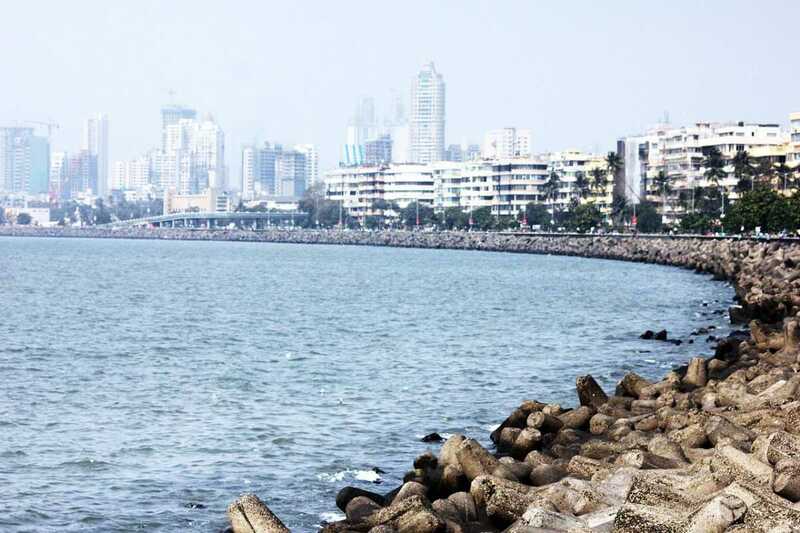 What are some of the other similar locations that you visit in Mumbai? Do you love writing in public places? Let us know in the comments section below.